NUTREND BCAA Mega Strong amino acids, which the body is unable to produce from other sources, and therefore must be supplied in the diet. 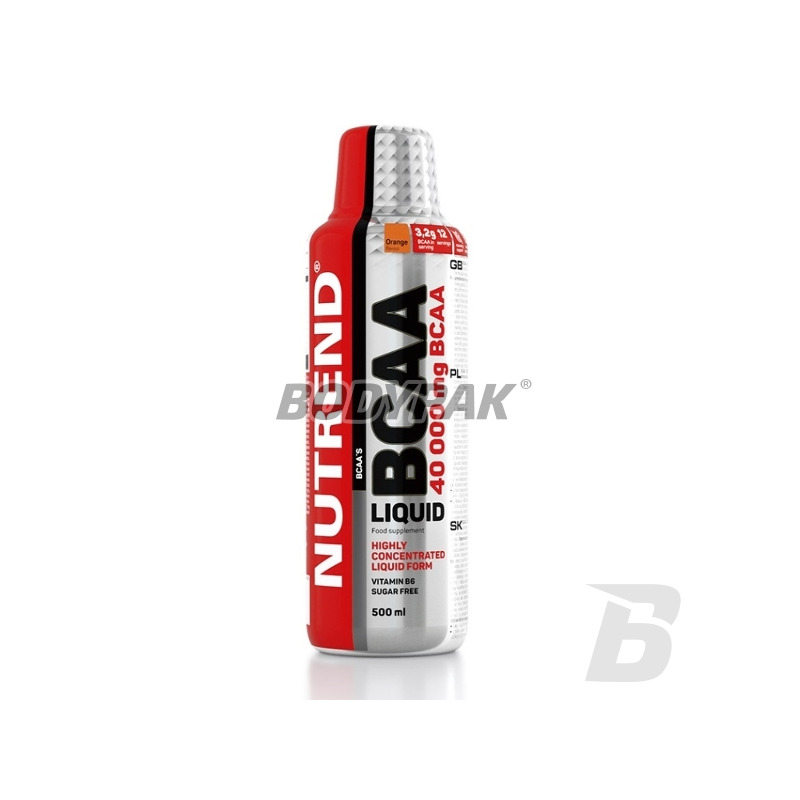 BCAA are very important in the training process for the protection of muscle mass. Supplementation 30 minutes before a workout is indicated in all forms of physical activity. 10-15% of the energy consumed during intense physical activity comes from the decomposition of proteins (amino acids Metabolisation). With the ingestion before a workout BCAA Mega Strong brand Nutrend delivered to the body to metabolize (decomposition) amino acids that digest, saving their own. Post-exercise operation is based on the addition of easily digestible free amino acids in the regeneration phase for fast repair of damaged during physical structures protein (muscle) and create new ones. 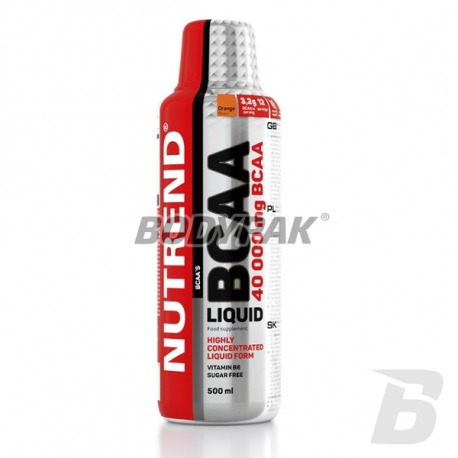 - Up to 80 000 mg of BCAA in 1 liter of rapidly absorbable liquid form. Ingredients: water, L-valine, acidity regulator - citric acid, L-isoleucine, L-leucine, emulsion orange (fragrance, E104 and E110), preservatives: sorbic acid benzoate and disodium sweeteners (neohesperidin, sodium cyclamate, acesulfame K and sucralose) chlorodowodorek pyridoxine (vitamin B6).